When celebrating a child’s birthday party, parents want to ensure that the occasion is as special as possible. These innovative seasonal marketing gifts will leave a lasting impression when serving a birthday cake. Living in the digital age tends to draw us to the latest technology. The digital numeral candle and musical cake server knife are both modern products that will bring the fun factor to a party. Who these seasonal marketing gifts can target? These products mostly target children, specifically aged 0-9 for the candle, as it allows you to switch between these ages. Also, the musical cake server plays the ‘Happy Birthday’ theme tune, bringing fun and amusement whilst cutting the cake. 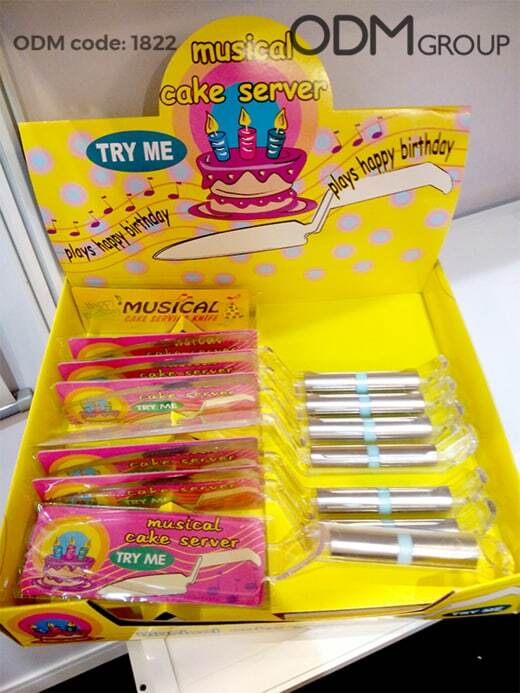 Furthermore, the cake candles and server are reusable items, giving you more bang for your buck. Not only will customers save money, but will be able to use these seasonal marketing gifts on numerous occasions. 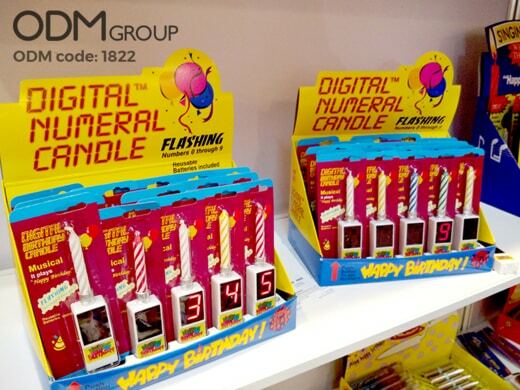 Practicality: The numeral candles are very practical because they can be re-used at every children’s birthday party. You’ll just need to change the number and wash it after use. Brand Exposure: Having the chance to show your logo on the product will make the user immediately aware of your brand and expose it anyone at the party. Unique: They stand out compared to traditional birthday party accessories, as they are more modern and exciting. At ODM, we’re experienced in manufacturing and designing. For more information on promotional product ideas, please don’t hesitate to get in touch with us!